“Target date” mutual funds can be a convenient way to invest for retirement, college savings, or other investment goals. Also known as life cycle funds, these diversified investments provide a “glide path” toward a future objective, ratcheting down investment risk as you get closer to the time you’ll need the money. In some cases, target date funds are actually “funds of funds,” allocating their assets to other mutual funds. Glide path: This provides the formula for allocating assets within the fund. When you approach the target date, the allocation usually skews more to the conservative side. That makes sense as a way to cut the risk of losses when you’re about to use the money. But you’re not required to cash out when the target date arrives, and continuing to keep your money in very low-risk investments may not make sense in your situation. Portfolio diversification: Whether you have a target date fund in a tax-deferred retirement plan or in a taxable brokerage account, you may be inclined to treat it as stand-alone investment. But it’s important to think about how it fits with other holdings in your portfolio. If you don’t look at all of your investments collectively, you could end up with too much or too little in a particular kind of investment, reducing your overall diversification and possibly increasing the risk of your investments in ways you didn’t intend. Expected retirement: Investors often zero in on retirement as the target date. But what if your plans change? You might end up retiring early or working longer than you expected—and that could put your current goals out of line with the glide path of the fund. If that happens, you could choose a different target date fund, or make adjustments in other parts of your portfolio. Fees and expenses: The expense ratio of a target date fund may be a weighted average of the expenses of underlying funds, plus the fund could tack on other fees to cover management costs. It’s important to know what you’re paying, so try to educate yourself about your funds’ fee structures. 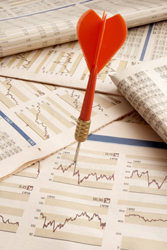 Risk factors: Target date funds often are touted as low-risk investments. But there’s an inherent risk in almost any kind of fund, and target date funds certainly weren’t spared during the stock market downturn of 2008-09. Because many target date funds include a healthy dose of stocks, yours could end up being more volatile than you expect. Target date funds can be an appealing way to diversify your investments and give you a smooth path to a future financial goal. However, other factors may come into play, so make sure to take the big picture into account.